Pay easily and conveniently by cash, direct debit, credit card or Paypal! Whether one-way or round-trip – your transfer with Munich business shuttle can now be easily booked online with just a few clicks. Or simply call our booking hotline. Are you looking for a limousine service in Munich? Then you are exactly right here at Munich Business Shuttle! With us a first-class service and luxury awaits you for a small price! Our limousine service Munich offers luxurious stretch limousines for traveling with business partners and customers, from one appointment to the next or for yourself. Also for those who want to leave a lasting impression privately or just want to experience something special, be it the drive with friends in the limousine to the next party, or you surprise a very special person with an incomparable evening in a luxurious and stylish atmosphere. 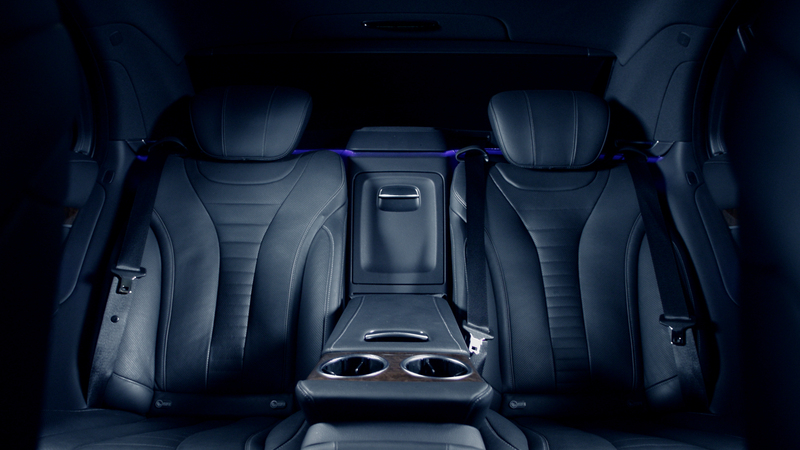 The Limousine Service Munich has a stylish and elegant solution for every occasion. We offer you an exclusive limousine service with fancy models of well-known manufacturers and a noble equipment! Book the Limousine Service Munich at Munich Business Shuttle now. We ensure your perfect appearance! Travel in style and relax with our professional Limousine Service Munich. Limousine Service Munich – Do not give away time! Nothing is more valuable than our time. So don’t give it away! Connect the useful with the pleasant and use, for example, the travel times between two places or appointments to check your emails or make phone calls. We make this possible for you with our Limousine Service Munich. Travel classy and comfortable, for example, with a fully equipped workspace in your limousine. Carry out important discussions for the customer loyalty or develop business relations with your partners, all this is possible with our Limousine service Munich. With our professional Limousine Service Munich you can design your own journey. To clear the head for a business meeting and to prepare yourself. Or to review the main points of a speech. Do not waste time in our comfortable and luxurious vehicles. Our limousine service Munich is reliable and brings you safely, quickly and discreetly to your destination. Whether fair, congress or conference, they always arrive comfortably and relaxed. The driving stress in crowded streets, traffic jams or the eternal search for parking space, all this is spared you with our limousine service Munich. Of course we offer our Limousine Service Munich not only for business events, but also for private activities. Book our limousine service Munich for a special family celebration or surprise a special person with a private sightseeing tour in a luxury limousine. We design each trip individually according to your wishes. For example, enjoy the city tour with a glass of champagne in an exclusive stretch limousine with your partner and experience in sunset the unique view of the city or over the Bavarian Alps. Our local and multilingual drivers from Limousine Service Munich drive you wherever you want to go. Enjoy your ride in our comfortable premium class limousines. The drive with the Limousine Service Munich will never forget you. As one of the leading providers of professional limousine service, our fleet includes only high-end luxury limousines that meet our high standards. Comfort for the well-being of our customers is our top priority. Because only those who travel comfortably, travel relaxed and happy. We are at your disposal 24 hours a day, 365 days a year and we can look after you as a business traveler, private traveler or tourist individually according to your wishes. Our service is available in and around Munich – also Europe-wide. Our guests are fully cared for with the limousine service Munich and individual wishes are fulfilled professionally and reliably. Our chauffeur service is always at your disposal. The chauffeurs, who are trained intensively by our Limousine Service Munich, bring you punctually and safely to your business and private appointments – let our Limousine Service Munich convince you with chauffeur service! Book your next trip online with us on our website and look forward to an exclusive service and a pleasant journey. If you have any questions about limousine service Munich prices, please contact us. We look forward to you!